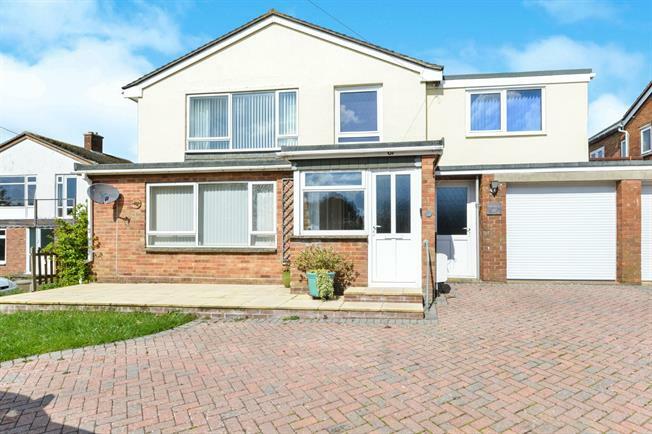 4 Bedroom Detached House For Sale in Newport for Offers in excess of £330,000. Stepping into this light and airy home it is clear that the house has been loved, and extended to accommodate a growing family. A wide hall with separate WC, leads to the kitchen, lounge and through to the dining area. A good sized conservatory is at the rear of the dining room, overlooking the well stocked rear garden. The garage is integral with a utility room to the rear and the original passage incorporated. The first floor has the four bedrooms, one en-suite and the family bathroom. An extensive home!